Volunteer ⋆ To provide playful experiences that inspire and educate every child. Thank you for your interest in volunteering at the Baraboo Children’s Museum! Once we receive your completed application, our next step will be to set up an informational meeting where we will give you an orientation and overview of the Baraboo Children’s Museum. 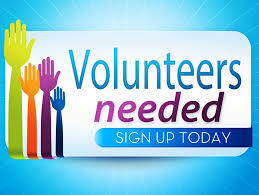 We will further discuss your volunteer interests and available time commitment in order to find the best fit. Thank you again for your interest in volunteering!